Thiravium College of Nursing is established and situated away from the bustle and distraction of town, making it an ideal center for Education. Thiravium College of Nursing is located in Theni – Periyakulam main Road near Kailasapatty just 5 kms away from Periyakulam and the Place is called "Mount Jerusalem". Thiravium College of Nursing is approved by TNC, GO for Dr. M.G.R. Medical University, It is affiliated by ERT State Government, Chennai. The Institute started in 2009. 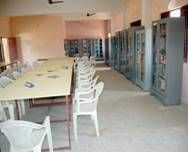 Spreading over 40 acres of land the Building area is 5 acres having all infrastructure facilities, Buildings, Labs (CHN, Nutrition, MCH, Micro biological, Anatomy, AV Aids), Library, Computer Centre, Playground, Workshop Rooms and Multipurpose Hall.